Use this site to find funding for projects, internships, college or graduate education that is separate from any College-issued financial aid you may be receiving. For information about your College-issued financial aid, please visit The Office of Financial Aid. The terms "Grants," "Scholarships" and "Fellowships" are sometimes interchangeable but for the purposes of organizing this site, we have made the below distinctions. Some opportunities may be listed under more than one category. It is impossible to list every available opportunity here; that is why we point to additional search tools in the menu to the left. The means that you must be a US citizen, permanent resident or national to apply. Some are open to persons having any of these statuses; some are open to citizens only. Grants could refer to funding to support projects, internships or things like travel that is related to your academic activities. Sources could be internal or external to the College. Scholarships are used to support your college education. 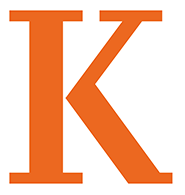 The scholarships indexed on this site do not include those awarded by Kalamazoo College at the time you were admitted. Application for some of the scholarships on this site require the assistance of an appointed campus liaison or faculty advisor and may have campus deadlines well before the published national deadline. It is important that you contact that liaison or advisor well ahead (3 months) of the national deadline. Fellowships support the cost of your graduate or professional education. Many are discipline specific and application to some require the assistance of an appointed campus liaison or faculty advisor. They may have campus deadlines well before the published national deadline so it's important to contact them at least 3 months ahead of the national deadline. Details and application for the Frederick Hartwig Memorial Internship Award. Powerpoint slides from essay-writing workshop.